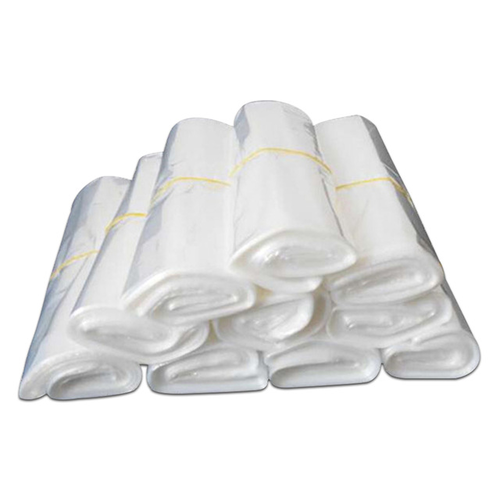 Backed ourselves with proficient and sound amenities, we are immersed in presenting to our customers an extensive compilation of Polyolefin Shrink Bag. Established in the year 1997, we "Pik Plastics Group of Alpha" are the leading manufacturer of a wide range of Plastic Bottles, PET Cosmetic Bottles, PET Plastic Jar, PET Jar Preform, etc. Leveraging upon rich industry experience, we have achieved the status of a successful manufacturer of the domain that has tremendous expertise in designing and fabricating a wide assortment of plastic products to our precious clients. Along with this, we are serving a huge client base across the nation that gives us boost to stay ahead of our competitors serving in the similar domain. All our plastic products are available in varied colours choices, sizes, shapes and designs. We are backed by a team of efficient and talented professionals that make the hard endeavour to fulfil the variegated needs of our valued patrons. Being as the hallmark of quality we marked our presence in the entire Indian market that also aids us to maximize our client’s base. Additionally, our large array of products is delivered to the noted brands of the domain that only want to avail top grade products. The raw material used in the making of the products is sourced from reliable vendors of the domain. We are loyal and committed to our work and put our best effort to uplift the quality as well as the market value of our products.